Are you already thinking about what to do next summer? We’ve got the perfect plan for you which includes fun as well as the opportunity to keep improving your English. 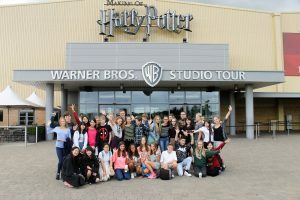 Every year, more and more people decide to study on an English course abroad, especially in the UK. You will be able to learn and enjoy yourself at the same time. How does that sound to you? Cavendish School of English offers you three destinations to learn English that will not leave you disappointed. They are our Gold Edition Summer Centres – three beautiful locations where you will find all that you need. Sussex is the only University campus in England that is surrounded by a National Park. 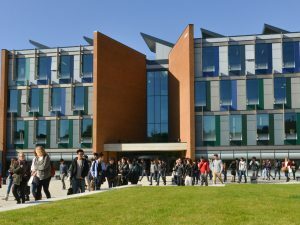 The campus is a large, self-contained village with lecture theatres, accommodation, restaurants, shops and sports facilities all within easy walking distance. The University lies just minutes from Stanmer Park, with its picturesque village green, complete with Saxon church, duck pond and tearooms which merge almost seamlessly with the campus. All classrooms come with the latest in audio-visual aids, including modern computers, projectors and interactive whiteboards. The University offers 1000 bedrooms across the campus with options including en-suite bathrooms and shared kitchen and lounge facilities. Students will have breakfast, lunch and dinner served in our on-campus restaurant with an option on excursion days to swap a meal for a packed lunch. The restaurant always serves a hot meal, with vegetarian alternatives and a salad bar, plus a dessert selection. Special dietary requirements can be catered for with advance notice. The University of Hertfordshire is a fantastic location on a closed, very safe, modern campus on the outskirts of London. The centre of London is approximately 35-minutes away. It is an ideal base for getting to know and enjoying the attractions of Britain’s capital city, as well as offering a safe and comfortable environment to study. Accommodation, classrooms and all other facilities on the campus can be reached in minutes by foot. The University of Hertfordshire offers football pitches, tennis courts, a swimming pool, sports hall, and a rock climbing course. Students can enjoy relaxing in the common rooms and free Wi-Fi is available across the whole campus. Three meals are provided every day. Lunch and dinner come with a variety of meals to choose from, including halal and vegetarian options. A packed lunch will be provided on full day excursions. The beautiful location of Thornton College is a safe, self-contained and leafy campus that looks like an English fairy-tale or Harry Potter-style school, but benefits from modern facilities and hi-tech teaching rooms with cutting-edge learning tools. 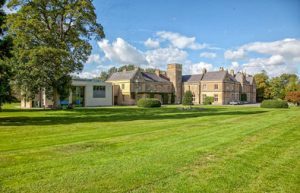 The College is surrounded by forests and meadows whilst a river runs through the 25 acre estate. Classes, accommodation and the dining hall are in close proximity. Oxford is famed for its University and “dreaming spires” and students will take regular visits to this fantastic historic city. Thornton is ideally situated for trips to Shakespeare’s birthplace, Stratford-Upon-Avon, as well as London, Cambridge and Royal Windsor. Facilities at Oxford-Thornton include an outdoor heated swimming pool (ideal for summer barbecues), a sports hall, theatre, library and computer room. There are grass and Astroturf football fields, tennis courts, an athletics track, cricket pitch and other sports fields. Students can enjoy spacious common rooms and Wi-Fi is available throughout the campus. Three hot meals are provided daily, with each meal providing a number of options including vegetarian. Packed lunch is provided for full-day excursions. Visit Oxford-Thornton to explore the magic of a traditional English boarding school.